The producer and musician shares his own take on the #MaskOffChallenge. 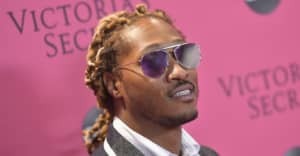 Over the past few weeks, Future's "Mask Off" has become the subject of one of the more creative viral challenges. The #MaskOffChallenge has seen professional and amateur musicians taking up their instruments to recreate the flute line from Tommy Butler's "Prison Song," sampled by Metro Boomin on Future's gold certified hit. Terrace Martin, who is both a stellar jazz musician and a rap production maestro, seems like the ideal candidate for the #MaskOffChallenge and the Los Angeles native delivered on Wednesday. Over the instrumental, sans Future's vocals, Martin brings a dynamic new take to the track with his musicianship. Listen to Terrace Martin's "Mask Off" remix below.